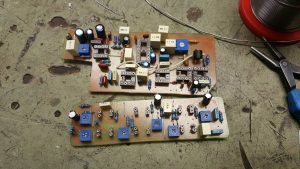 Since the units started working together in my Hagström Patch 2000 project it was now time to get a propper chassie for the syntheziser. 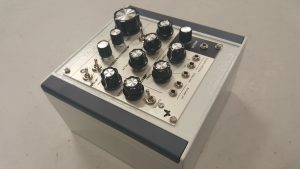 The choice fell on a Rolec-Hammond enclosure, here’s a few pics with the electronics and faceplate mounted. Next step is to fit a power connector, transformer and the PSU card, it will be a tight fit but it should be possible. 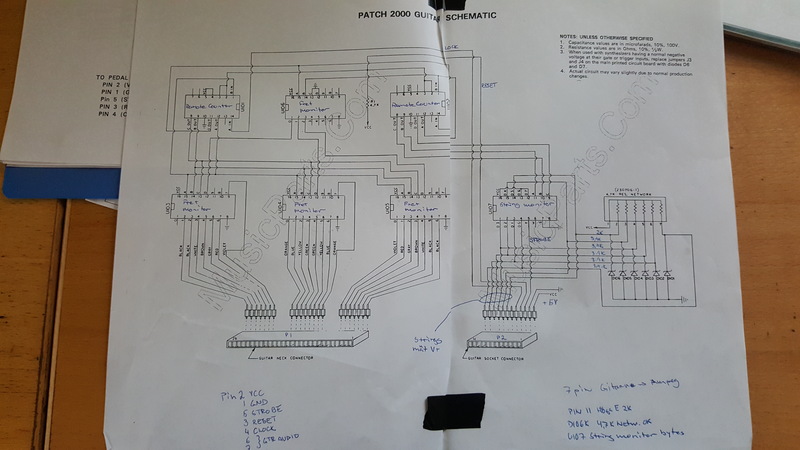 The Hagström Patch 2000 project (or mystery circuit continued). A both intresting and a challenging project. The guitar is Hagström Patch2000 from the late 1970:s. It is the first guitar/synthesizer hybrid made by Hagström in collaboration with Ampeg. 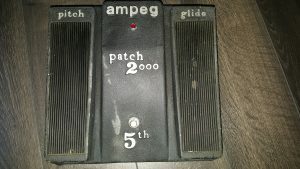 The interface between the guitar and the synth is an Ampeg Patch2000 pedal. 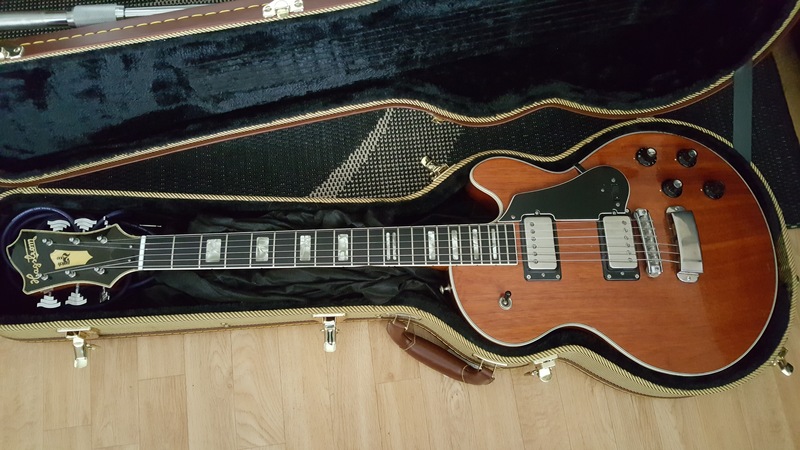 It’s got three controls, Pitch, glide and 5th. So what’s needed from me is to build the syntheziser. The choise fell on the Steiner Microcon. Synthcube carries a full kit for the build.Here’s the circuitboard, started to get populated. Populated and mounted on the faceplate. 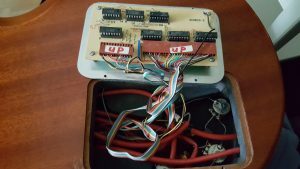 The offboard wiring is a challenge on this thing. Worth knowing is that synthcubes “full kit” did not include the powersupply. 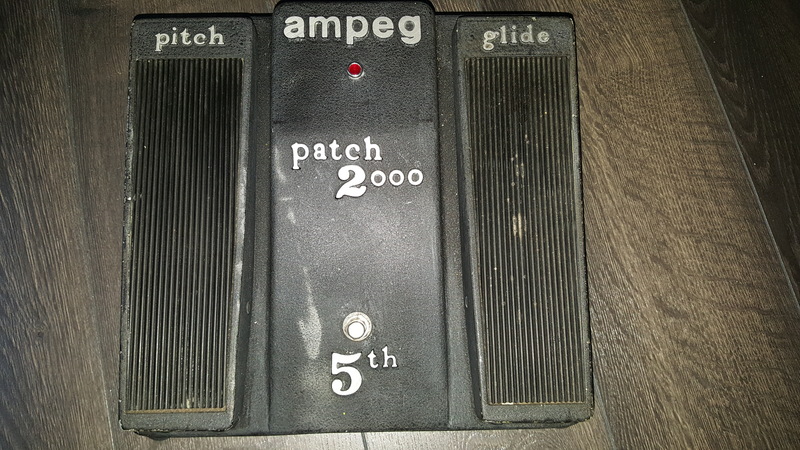 A gutshot of the Ampeg pedal. 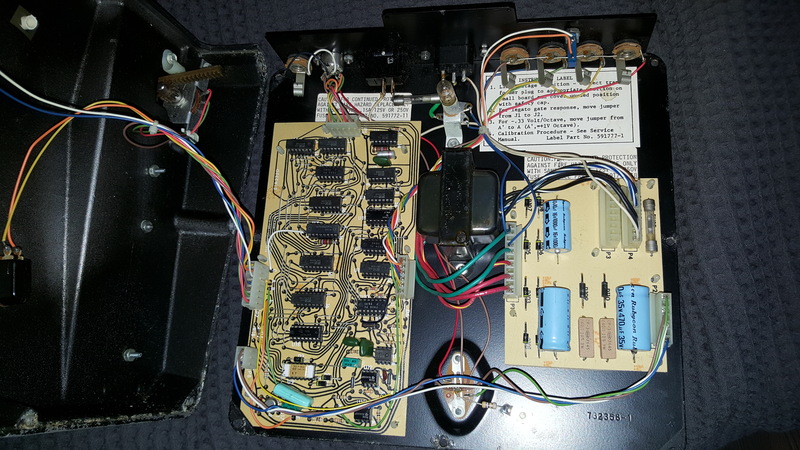 It has by now got new electrolytic capacitors and a calibration. Here’s a picture of both the synth and the ampeg pedal together. Once I finally got things hooked up together and could try it out it was clear that it is not fully functional. First thing I did was check was the offboard wiring on the microcon. 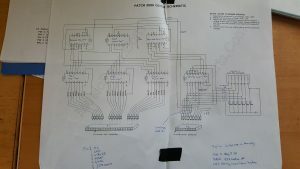 There’s eleven pots and a few switches and I had got some wires mixed. After sorting that out the synth now seems to work properly. So the 74LS151 got replaced with a new one and suddenly things started to interact as it supposed to. Here’s a short video of the tryout, my son Markus is playing the guitar wich is connected both to the synth and as a normal guitar to an amp. This videoclip also appeared in my earlier post Mystery circuit&#8230;. 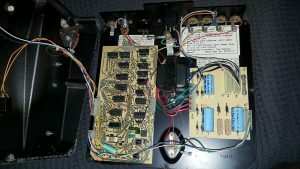 So what’s left for now is to check the Pitch pedal on the Ampeg, it does not always work, there’s some problem with the 7 pin DIN cable from time to time. 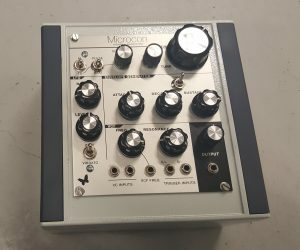 The Microcon will get a new chassie and a calibration. I just need to find the time for everything. 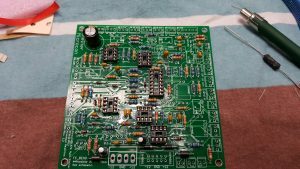 Update on the clipping page with a fuzzy circuit built some time ago. Trying out a work in progress circuit. I wonder if anyone can take a guess on what it is? Sorry about the orientation on the video. Circuitbaords populated for a UKII. 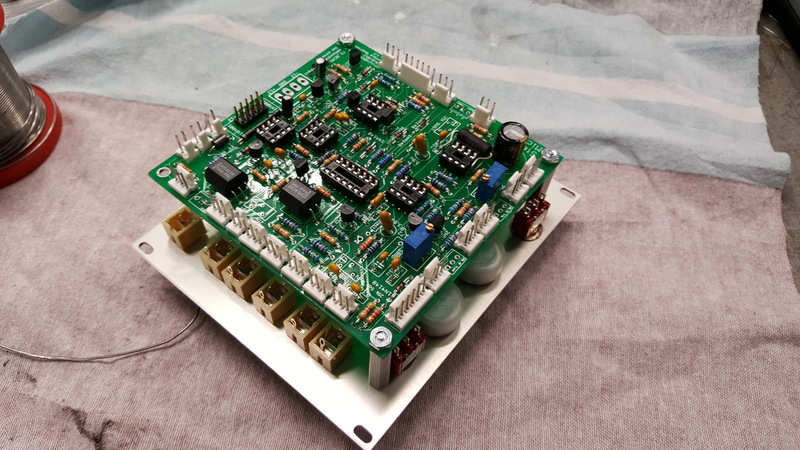 The small circuitboard will hold the BBD circuits, in this case three V3205:s, with trimmers for bias and output balance. The big one holds the rest, clocks, filters, LFO etc. 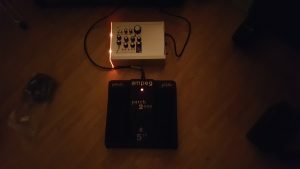 Just fired upp a clone of the MXR Noisegate, added controls for attack and release. The circuit is a bit tricky and needed a bit tweaking to fire up. The idea is to post work in progress updates and other stuff I feel like sharing on this page.